Novotalk, a Mount Sinai venture, is changing the way therapy is being provided to 1/8th of the world population who are suffering from speech and language impairments. Using their patented digital technology, Novotalk provides an online, on-demand, self-directed digital speech therapy solution, which allows those with speech impairments to learn, practice, gain, and maintain comprehensible speech remotely, independently, and discretely, with no dependency on the availability of a clinician. Novotalk is the ONLY solution to work asynchronously TODAY. Also with Mount Sinai’s credible backing, the solution is an affordable and accessible alternative to the expensive clinical setting, and it is in the forefront of digital health technologies, as exemplified by taking the 1st place of the early stage innovation awards provided during last month’s JPM week in San Francisco. The main cost-driver for an hour of the clinic has been an hour of clinician (charged on an annual average of $124/hour). What if you can deliver hundreds of therapy sessions, with this one-hour clinician, doing the same therapy you’d do in a clinic, probably better, and without the need to be waitlisted, call a clinic, schedule, lose working hours, and realizing that it gobbles a lot of funds from your available salary. Novotalk removes the main barriers to superior and reliable therapy: accessibility, availability, and affordability. Our target customers have a pain; they have a speech impairment. Just imagine that you cannot freely express your needs, desires, and dreams. It can actually happen to anyone at any age and for many reasons. For one in eight people across the world, this will become their reality, and saying what they want to say will be a persistent challenge. The impact of speech disorders on various aspects of daily life can be devastating. It can impact self-confidence and self-esteem, hinder the achievement of career goals and the forming of relationships, as well as preclude people from realizing their potential. For some impairments, such as stuttering, research shows that they are often associated with depression and even suicide. Though many great therapies have been shown to work, the best and most reliable therapies are not accessible to most people; either they are too expensive, too far away, or too dependent on the availability of a qualified clinician. Even if patients manage to overcome these accessibility problems, they and possibly their immediate environment (caregivers, school systems, and providers) will still have to carry a considerable burden of care. Beyond financial matters, this includes time investments not directly associated with care, access issues, adherence to in-clinic and off-clinic regimes with decreased effectiveness, and more. Leaving aside accessibility, the burden of care, and the associated substantial costs (US$30b), the speech and language therapy market needs cannot be addressed due to the shortage of qualified clinicians. What is Novotalk’s clinic of the future? Imagine if you could go online and get the best voice, speech, and language therapy, at any time, from any place, and on any device, receiving quality and dependable care at an affordable price. This is Novotalk, the speech clinic of the future, and the future is what Novotalk is delivering right now. •	Novotalk eliminates the peripheral burden of care and allows patients to concentrate on the most important thing – a successful outcome of the therapy. •	Novotalk is a platform that is introducing validated speech and language therapeutic protocols to the online world, available 24/7 for people to sign up and undergo therapy. •	No more standing in traffic and parking, spending endless time scheduling, losing work days. •	All of this at a more affordable out-of-pocket cost. •	A Novotalk virtual clinician takes users through the learning and training process, enabling the supervising “real” clinicians to focus on measurable and accurate outcomes, work more efficiently, and help more people in less time. •	Novotalk removes the main barriers to superior and reliable therapy: accessibility, availability, and affordability. Can you explain your joint venture with Mount Sinai Health System? •	A joint commercialization effort in the U.S. and Canada, in which Mount Sinai is providing guidance, facilitation, and clinical supervision to deliver the most professional support to our patient population. •	A joint R&D component to address additional speech and language conditions, in areas where Mount Sinai can provide the clinical protocols to be implemented on the platform. •	A clinical research component aimed at the clinical validation of the different clinical protocols (though we initially selected only in-clinic validated approaches), validate the asynchronous delivery model in general and also look into the macro-economics of asynchronous delivery in a broader perspective. 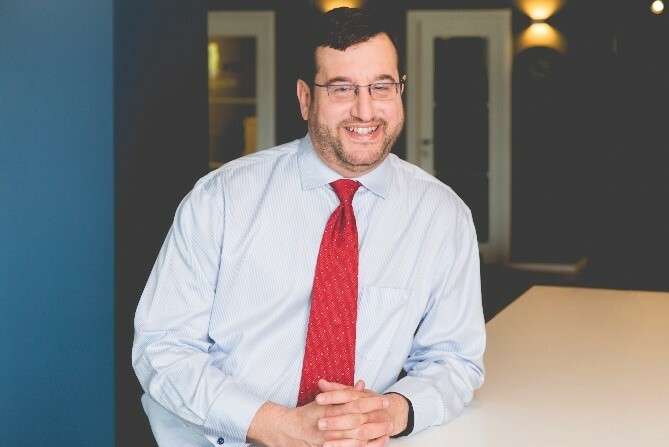 Zohar Beeri (Chairman & CEO) – Joined Novotalk in late 2016 and transitioned the company from a single-solution collection of tools for clinicians in the Hadassah medical center in Jerusalem to a multi-condition asynchronous delivery platform adopted by Mount Sinai. Zohar is a tenured technology and venture executive, with various positions held in both the corporate world, with companies like Coca-Cola and Forrester Research to startups in the domain of information technology and digital health. One of them, Intuit Ltd., was sold successfully to Giga Information Group, back in 2000. Zohar, a dual citizen of Israel and the USA, and a former Major in the IDF, has an MBA degree, Beta Gama Sigma, from Tel-Aviv University, and was on the Dean’s list, as a graduate of the Technion – Israel Institute of Technology Management program.